Habibeh Khoshbouei, Pharm. D., Ph.D.
Christopher R. McCurdy, Ph.D., F.A.A.P.S. 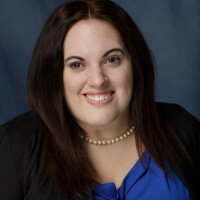 Lisa J. Merlo Ph.D., M.P.E. Home Membership Jenny L. Wilkerson, Ph.D. The examination of experimental preclinical compounds to produce analgesic effects, with diminished drug abuse liability, and dependence. Drug misuse and dependence can devastate individuals, family, friends, public health, and society. Effective therapies for drug dependence must consider environmental, behavioral, and pharmacologic determinants responsible for drug misuse. My current research integrates principles of behavior and receptor theory to identify central nervous system mechanisms responsible for drug dependence. We also investigate novel pharmacological strategies that maximize therapeutic potential and minimize dependence and abuse liability. Our research incorporates a combination of behavioral and physiological approaches, receptor-selective ligands, and quantitative analyses of drug interactions. My research has focused on cannabinoids (i.e., any drug that binds to cannabinoid receptors), which includes cannabis-derived tetrahydrocannabinols, numerous synthetic cannabinoids, and endogenous cannabinoid neurotransmitters. Synthetic cannabinoids have been misused more recently under the guise of such brand names as Spice or K2. Endogenous cannabinoids are degraded by the enzymes fatty acid amide hydrolase (FAAH) and monoacylglycerol lipase (MAGL), and novel drug inhibitors of these enzymes have been identified. We are able to systematically compare the effects of these diverse cannabinoid drugs and evaluate underlying receptor mechanisms to understand dependence and therapeutic potential. Recently, I have found that inhibition of either MAGL or FAAH leads to enhanced opioid-induced reversal of pain related behaviors, without enhancement of other physiological properties related to either cannabinoid or opioid drug class.